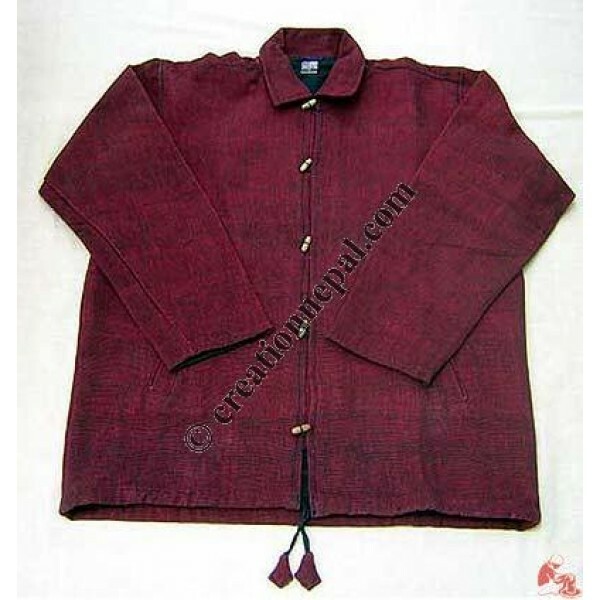 Nepali heavy cotton jacket with hood and wooden buttons. It has embroidery on the back of the jacket. Warm and soft to wear, available in different color and size. Since the product is entirely handmade; NO two are alike, hence there can be slight variation in given measurement and color.